Margot Hoppin brings extensive experience with commercial and criminal litigation to her broad-based practice at Holwell Shuster & Goldberg. She has participated in the litigation process from numerous perspectives: as an advocate for private parties in civil, administrative and criminal proceedings; as part of a government prosecution team; and as a clerk to a federal magistrate judge. She also has extensive pro bono experience in immigration, housing and other legal and administrative proceedings. 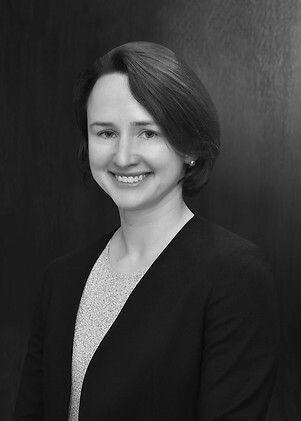 Margot previously worked as a litigation associate at Cravath, Swaine & Moore LLP, and as counsel to a small Vermont law firm, where she provided criminal defense services to indigent clients. In her final year of law school, she assisted prosecutors in the Eastern District of New York’s Public Integrity Section with the 11-week federal trial of then-State Senator Pedro Espada, Jr., who was convicted on four counts of embezzlement in May 2012. Before law school, Margot developed economic growth and poverty reduction strategies for the Bloomberg administration as an analyst in the Strategic Planning Unit of the New York City Economic Development Corporation.